The Aristocrats’ Third Album Title: “Tres Caballeros” – Plus North America Tour Dates! I’ve been teasing this for long enough…here’s the official announcement! 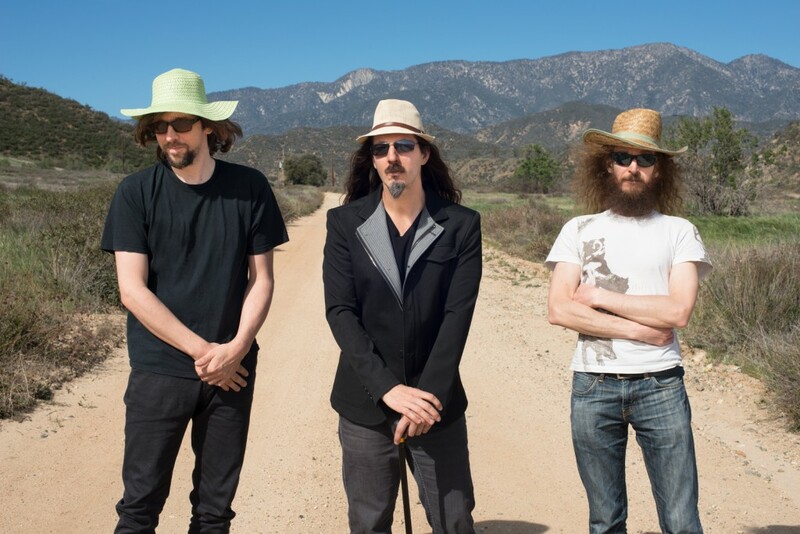 Fresh off their wildly successful 2013-2014 Culture Clash world tour, The Aristocrats – by any measure the hottest new band in instrumental rock/fusion today – rewrote their own rules for their third studio album, Tres Caballeros, which is slated for release in late June. The result: Nine new compositions of greater sonic depth and breadth than ever before, with unique textures and lush layering augmenting the band’s preternatural ability to improvise both individually and as a group at the highest levels possible. But not to worry – it’s all still tempered with a steadfast refusal to take themselves too seriously, and The Aristocrats are still having more fun than a fusion band has any right to have. The Tres Caballeros tour will bring the band’s new musical vision in trio form to stages across North America in their most ambitious jaunt yet. The Aristocrats will be supported by fellow rock/fusion power trio The Travis Larson Band. Full details on each date can be found on the Aristocrats website calendar page. It was quite something to get this tour together, and I want to personally thank Rodney Cord and Julie Cord at Blue Mouth Promotions for an incredible job in making this a reality. And that’s all I got for now. Gotta get back to mixing Tres Caballeros. I really enjoy doing group instructional work, and I’ve missed doing clinics. Touring is great, don’t get me wrong, but the opportunity to connect with bassists and musicians on a more intimate level is something I’m looking forward to doing again. Also, I have a boatload of touring coming up again, starting this summer (more details on that very very soon), so these could be the last clinics I do for quite some time. If you’re closeby, I hope to see you there. Meanwhile, WesFest 10 was a great success, with lots of money and spirits raised for everyone involved. Thanks again to everyone who came out and packed the house! Special thanks also to those who donated their time and efforts to make the event a success (remember, I didn’t organize it this year; that torch was passed to others who did an amazing job). This was taken just seconds before I started soloing and then somehow managed to yank my short and borrowed instrument cable out of the preamp, knocking it to the ground and cutting my signal out completely in front of 300 people, demonstrating that it’s never too late for a lesson in humility. Thanks again for reading all of my updates about this cause near and dear to my heart…and here’s to you, Wes. You would have laughed. There’s a gigantic truckload of great pictures from this event, courtesy of Ron Lyon. Check them out by clicking here. First: This is it! Just 3 days until the 10th WesFest benefit concert. It’s happening this Sunday at The Roxy in Los Angeles. The lineup is epic: Victor Wooten headlining with Steve Bailey guesting. Mike Keneally & BFD (I’ll be playing with Mike and others). Danny Mo & The Exciters featuring Wehmiller Scholarship Award Winner Stefan Sandman. And more more more! Plus I’ll be your M.C. for the evening. Greater SoCal and beyond, I strongly urge you to consider attending this event, joining our community for an awesome hang, supporting a great cause, and enjoying a killer night of music. Or, if you can’t make it, you can donate right at this same page I’m linking over and over and over again. Meanwhile, in just under two weeks The Aristocrats will be announcing both the name of the new studio album we just tracked and the dates on our North American tour this summer. It will be the longest tour we’ve ever done on this side of the pond, and we’ll be in some great new (and bigger!) venues. On the record side of things, we’re mixing and mixing and mixing. We won’t stop until it sounds Great. But I can tell you that it’s pretty different from anything we’ve ever done before (in a good way, we all think), and we can’t wait to share it with you. You can always check out the website calendar page to see the latest gig postings. I’ll be doing a local gig with Mike Keneally in March, and there’s the big G4 camp with Joe Satriani, The Aristocrats, Animals As Leaders and Mike Keneally in late June, and more. That’s it for the time being. I need to listen to more Aristocrats mixes now. Here’s to this winter…ending eventually?